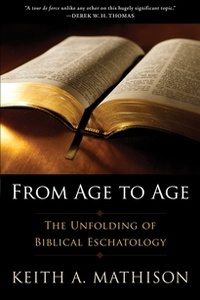 Although books on eschatology often focus on the second coming of Christ and the millennium, a complete study of biblical eschatology must include Christ’s first advent, which inaugurated the last days. It must also include a study of God’s preparations throughout redemptive history for the eschatological first advent of Christ. From Age to Age looks not only at the consummation of God’s redemptive-historical purposes at the end of history, but also at their unfolding stages. Using the narrative method of biblical theology, Mathison traces the eschatological themes of Scripture from Genesis to Revelation, emphasizing how each book of the Bible develops these themes, which culminate in the coming of Christ.